Time for him to start a game? On from the start v Edinburgh City? Doesn't matter he's on a pro contract. Pretty sure he started in the U18s win v Killie less than 24hrs before, scoring 2 goals. Of course it matters. He is still developing both physically and in terms of experience. A great future prospect but it would be wrong to expect too much too soon. Marcus Rashford, Wayne Rooney etc etc. Only way to get experience and fitness is to play against the big boys. Daniel, if he started, couldn’t have less pressure because of our current mis-firing forward options. I think it’s a good time for him. Different story. They would have had Rolls Royce treatment compared to our Del Boy's Reliant Robin. Not a slagging, just a fact. Daniel probably best coming on in 2nd half as an impact player. But not too late. White is not good enough, hopefully punt him in January. No point hanging on to a duffer if we can get rid. Hopefully!! More a League 2 / Highland League level player. Austin needs to be starting as he is far better than White. I can see Charlie Trafford maybe going in January also. Try his chance in new Canadian League starting shortly after that. OFW still playing at Indy 11 tonight/last night. Has his loan deal been extended? 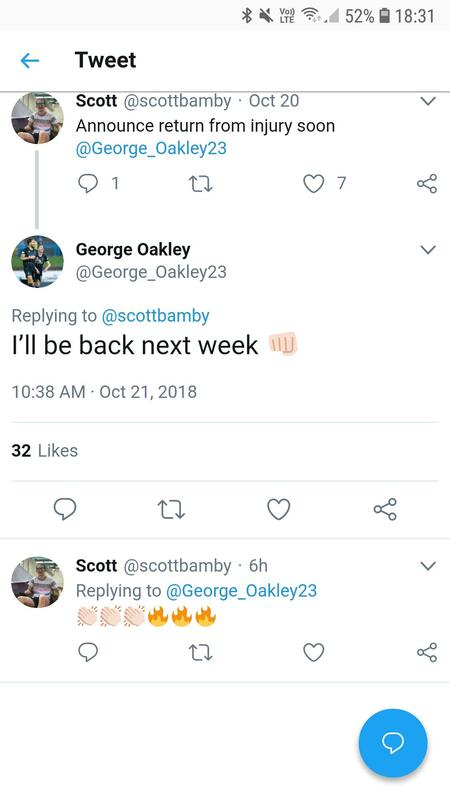 George Oakley announced on Twitter he's back next week. That sounds promisingly. I've always liked his work ethic, and the ball often sticks when he controls it. If fit enough, I'd put him straight back in if he is happy playing on plastic pitches. What's the story with Austin, as we rarely see him. Don't really get the clamour for starting Mackay. He's not shown much in his recent (substitute) appearances to suggest he should be in the first XI. He's still young and most of his game time has been from the bench so it's unfair to expect him to be scoring dozens of goals but at the same time he's not shown all that much. 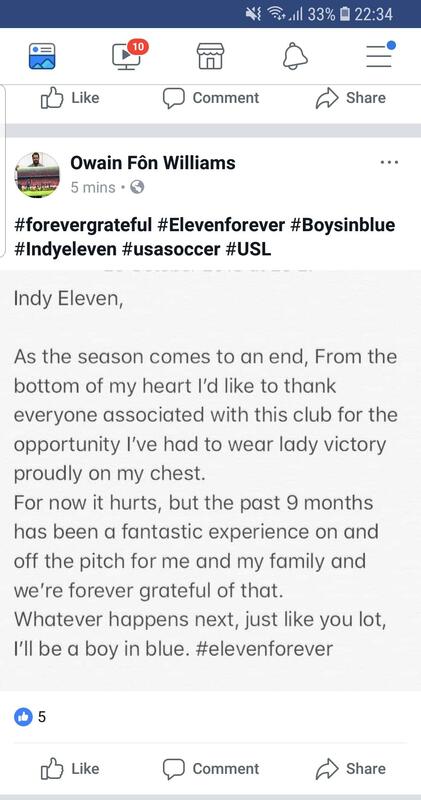 Well why don't Indy 11 take him for good? Wow>! A Welsh wizard with words. If they are sincere, however, that's a big compliment , as I read it , to ICT . Sp thank you OFW. Daniel is an "apprentice pro" who has scored goals at his current level. Why are people thinking he is the answer to our striking problem? FGS Robbo sees this lad every day at training and if he felt Daniel was the answer I'm sure he would be starting on a regular basis. Yep, got side tracked. Daniel is best placed coming off the bench to freshen things up. White best left on the bench to halt the staleness up front. Why is that so ridiculous? If Oakley is fit to start next week I'd have no issue with him playing and White on the bench. 1. Why would you bench a striker who has just scored two goals in his last two games? 2 The manager says ,White is a good platform to work from, and obviously rates him. 3. A player who has been out for weeks with a serious injury very rarely starts in his first week back in squad. Daniel, I feel, is more of an impact player, like Ricky. Run circles around a tiring opposition, he's not a starting XI in my books, but as long as there is an advantage that can be taken, Daniel and Ricky are the ones to do it. Aye but here’s the thing, unless you start him how will you know what is good and bad??? All our opinions are speculative so why not try and get a positive result by trying? We’re not saying start him every game and one start didn’t ruin anyone’s career.